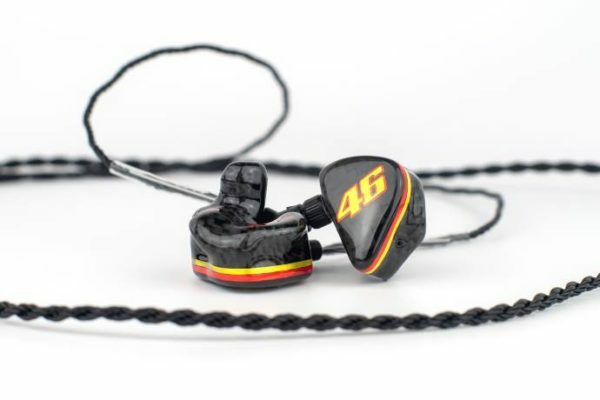 64 Audio is a US based company that specializes in making custom and universal in ear monitors, they also dipped their toes into making studio/live belt packs. As you can find out in the interview we did with them last year, 64 Audio started out as 1964 Ears and has renamed themselves. Their core is the Belonozhko brothers who all manage different departments. 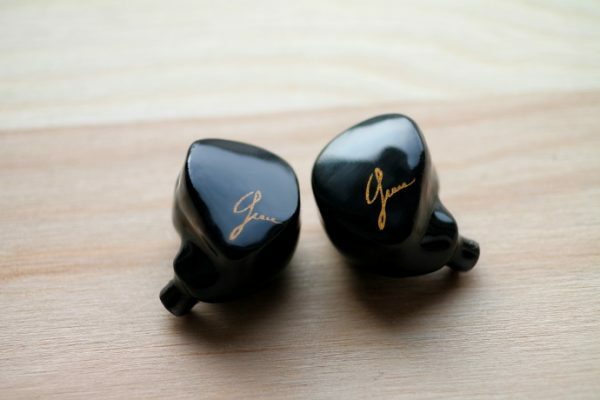 They have been around for almost eight years already, and have started out because of a project their founder, Vitaliy, has been working on – an in ear monitor for his wife. This project later on became what we know today as 64 Audio. They are also one of the few companies that bring out one technology after another. They have introduced tiatm (Tubeless In-ear Audio), apextm (Air-Pressure Exchange) and LIDtm (Linear Impedance Design). You can consider tiatm as some sort of hat-less balanced armature driver that fulfills its job in a special acoustic-chamber and doesn’t put out sound via a regular tube and dampener system. This way the treble frequency response is more extended and the resonances of the tube are eliminated, giving a more enjoyable listening experience. apextm is an interchangeable system that drastically reduces the pneumatic pressure on the eardrum, which can be found on regular custom IEM designs, and therefore enhances the safety of your hearing. Currently 64 Audio has two different apextm modules in their portfolio: the m15 and m20. Both have their own sound characteristics. They also have different isolation values, the m20 takes down ambient noise by 20dB and the m15 reduces it by 15dB. LIDtm is a new technology by 64 Audio that was introduced with the A/U12t and tia Trió. It is responsible for an almost flat impedance curve of the IEM, enabling it to be completely unaffected by varying output impedance of sources. This comes in very handy for touring musicians, producers and audiophiles that connect their IEMs to an array of different gear. 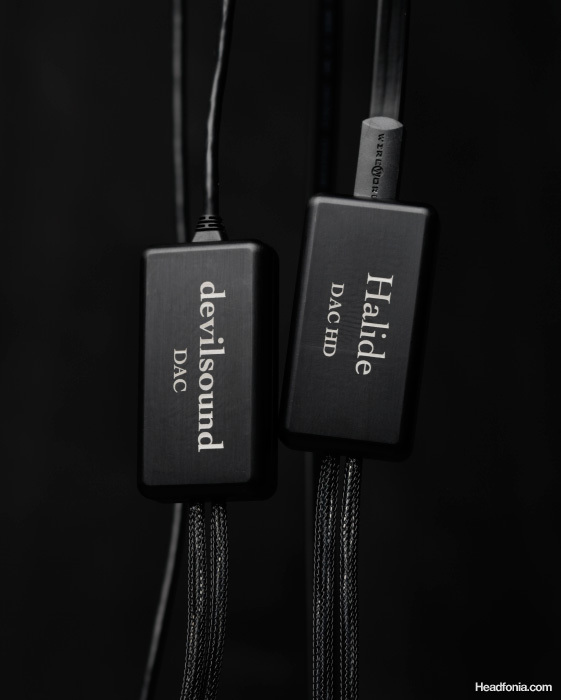 LIDtm and its impedance behavior enable the monitors to always sound the very best, no matter the source it is connected to. 64 Audio also is one of the few companies that 3D prints your custom IEMs. It works like this: you take your regular impressions at your trusted audiologist, send them to 64 Audio, they scan them with their hardware, edit the scan to make it printable as a custom in ear and then 3D print them. 64 Audio also closely works with many professional and award winning musicians and artists such as Alessia Cara, Seal, Bon Jovi and Beyoncé. This definitely says a lot about their reputation. The N8 is a collaboration between 64 Audio and one of their professional clients – Nathan East. It is their first signature monitor and takes advantage of all of their proprietary technologies. While the name might indicate it is an eight driver setup, it is actually using nine in total. The name N8 is a word play by 64 Audio and is intended to be pronounced as „Nate“ (N-eight). The N8 uses a nine Millimetre dynamic driver for low ends, six balanced armatures for mids, one BA for upper mids and a single tiatm high driver for treble. The interesting thing about the dynamic driver is, that it is not firing into a tube and damper system, but rather uses the entire shell as a tube. When I first heard about that, one important question came into my mind: Won’t every N8 then sound different? Taking room acoustics into account the low ends have to be performing at a different level then. 64 Audio then told me that they actually custom tune every single unit to the target curve. The reason for having the dynamic driver firing into the shell directly is that, according to 64 Audio, the bass then becomes richer and smoother. We’ll find out in the Sound chapter how it performs. The N8, as said above, comes with 64’s whole arsenal of proprietary technologies. The Linear Impedance Design makes sure your N8’s won’t get messed up by varying output impedances of your sources. It of course also uses the apex tech, but unlike the other 64 Audio custom IEMs I have, it isn’t tubed directly to the single bore, but also uses the shell as tube. I noticed that the N8 isn’t as prone to module changes as the A12t or A18 for example, maybe that’s the reason for that. The N8 has a rated impedance of very low six Ohms and a sensitivity of 105 dB per Milliwatt. That suggests that it is an easy to drive monitor and you shouldn’t run into problems with any source. It’s frequency response measures from 10 Hz to 20 Kilohertz. Like all tiatm models, the N8 uses a single bore design with a protective mesh. The N8 is available in custom shape only and will set you back 1699$. The build time for one set is three to four weeks. I decided to take the comparison out, because I wanted to keep the review short and only have sub 2000$ CIEMs (with the exception of the Encore) in there. I can still add it though if you want. I’ll update the review with a comparison to the Legend X today, I’m still waiting for my Phantom to arrive. EDIT: A comparison has now been added. As I am having the demo for selecting A12t or N8 today in couple of hours time. So far my impression from your analysis is N8 probably suits more for me, as I would prefer a more comfortable listening over a longer duration, instead of technically better sound on a short duration. Also I have ears that can get heavy very quickly, just by having an IEM in, even if its not playing any music. I hope Custom IEM and apex gonna help me over there and with its more organic soulful properties I can finally able to enjoy my music over a longer duration. Very glad you like the review, and I’m so excited for you. Please let me know how the audition went. Again, thanks for your kind words. Much appreciated. Cheers, have a great audio-day ahead! I actually also demoed A6, as wanted to make sure additional drivers really makes a difference to me and at my desired volumes. I started with A6 as wanted to step up and observe any difference. A6 was surprisingly good. I am used to of Sure SE-535 and the difference was obvious. Every instrument sounds independent and clear and the sound stage and depth all at a different level for a triple driver fanboy of Sure. After seeing its size, I thought it will be uncomfortable in my ears, but it was actually once again very good in this regard. Maybe apex module was helping me somehow. Or maybe it’s placebo effect, whatever it was, it was working. Also liked all the low, mid and high, nothing was over the top and I really loved it. Then I moved to A12 (it was the older non-tia version). The overall sound was very similar to A6 but I could notice some level of refinement, maybe because of additional drivers were helping with already very controlled distortion. Once again, I really liked the Audio 64 approach to keep the sound signature neutral, laid back and complete. So I finally picked it over A6. Next N8t, and I completely agree with you, it’s completely different sound compare to A6 and A12. You could imagine the two A* models like siblings and N8 as a distant cousin, from the same family background but still distant, quite distant. It was very pleasing, much more revealing in general (other than bass), maybe because of tia driver? (as the demo A12 was non-tia). I really enjoyed it but at this end I really enjoyed A12’s approach more, it was more relaxing for me. N8 was grabbing my mind little bit more, which I both liked and disliked. Also the difference in bass is very noticeable, to me N8 bass was staying longer, was more diffused and moving farther in distances, comparatively softer and it reaches to me more frequently. On the other hand A12 was a harder beat and responded quicker. I can’t tell which one I like more (bass wise), but I must say I am more used to of listening A12 kind of bass. N8 is very unique and different. Once again many thanks my friend for all your detailed response on my queries. wow, that sounds quite like a journey. I’m happy you found what you’re looking for. You demo’d the A6, A12 and N8. That must have been fun. Though the A6 and A12 are no longer in production as far as I know. Can’t really say how the A12t compares to the A12, but from what I understand the A12 was warmer and less revealing than the A12t. It is neutral to some degree, but has a slight warmth and smoothness in it that makes it very enjoyable (to me). Congrats on your audio purchase, it’s a great monitor. No worries, I’m happy to help. Thanks, hope you’ll also have a great day. 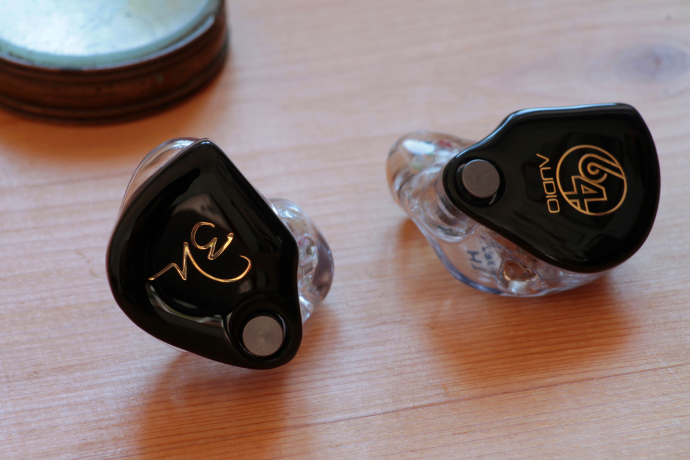 I really interest to buy one ciem ,because of my ear canal left and right not equal ,that make me strict to fit ear tip tighter and feel bad when noticed a sound left-right not equal. Now I’m using encore along with AK se100 and lionheart 8 wire (To increase bass and vocal warmer than stock cable) I still enjoy the instrument separation from encore but encore have a little bit lack of deep bass as I loved. Do you think I should go for N8 or A12t ? Nice review, i`m on the fence between the N8 and the legend x, mainly looking for a warm sig with bass emphasis (my reference for this kind of sound is the HE 500), i currently have the UM Merlin v1 and sometimes find myself having to crank up the volume for the bass to come alive just enough to be hurt by it`s sibiliant highs. i`m actually leaning toward the N8 but am afraid that it`s mid bass is too soft, i also listen mostly to rock, folk and a few IDM songs. Which one do you think that will make me happier? thanks a lot for your comment, much appreciated. If it’s bass impact you want, go for the Legend X. Best of course would be to audition them first, if you have the chance. If you need more info, don’t hesitate to ask. Happy to assist. I hope this is the right place to leave a comment regarding the N8 giveaway..there is no clear location or link from the giveaway entry page to be sure..
no, this isnt the right place for the comment. btw I’m wondering how will oriolus mk2 or reborn compare to 64audio N8? sorry for the late response, I don’t know how I missed your comment. It’s been too long since I’ve listened to the MK2, I don’t want to compare them based on memory, especially if the last session is over two years in the past… Sorry I couldn’t help more. Do you happen to have Schiit’s Modi (humble Modi 3 version) as DAC and Magni as amp combo? Because that’s what I currently have, and I am contemplating getting myself N8 customs… So wondering whether that’s a good combo (numbers check out, but they’re merely numbers…;-) )…or I should perhaps also invest in a bossier amp? Unfortunately I don’t have the Schiit stack, but I think you’d be safe with the N8. It does enjoy additional power but doesn’t crave insane Watts. The N8 is a fantastic monitor which I enjoy to bits. If you have the chance give it a go. I think 64 Audio has a loaner program for US citizens if you’re interested in it. I’m not sure if they’re offering the N8 for that too, but definitely worth a shot. Great review! I’m using a WM1Z with Shure 846’s. I’ve grown accustom to the “Shure House Sound” wonderful mids with laid back highs, and of course the wonderful lows and sub-bass of the 846’s is hard to match. I’m leaning toward the N8 or A12t. Thoughts? Also, does 64 audio do digital scan impressions? If you want something more like the 846 you might want to give the N8 a go. It’s definitely the lusher of the two if you’re after some meat in the sound. 64 Audio does make a digital copy of your physical impressions. If you’re a first time customer you will need to send them your impressions, but it can’t hurt to ask if they take scans too. Their CIEMs have the best fit btw. I’ve been really stuck between whether to get 64audio or JHaudio CIEMs, because I know most of the industry still largely uses jh audio and it seems to be more robust in terms of durability. I guess where I’m really stuck is that 64audio seems to have all this unique technology like tia and Apex but i was wondering if they really do make a difference in the ear fatigue/quality of the sound. Looking to get the N8 from 64 or the angie’s from jh. You’re right, most of the pro industry uses JH CIEMs. I think JH Audio, UE and Westone are the biggest players there, though 64 certainly is catching up.